Change your voice to any voice in real time talk. 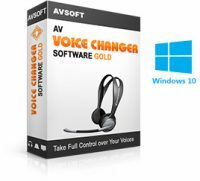 The advanced virtual driver technology makes it possible to connect AV Voice Changer Software Diamond to most VoIP programs, role-playing games or web chat applications. Effortlessly.